Comment: Floor molding remove and put new. Comment: frame a garage door opening to the back of my rv garage. Opening will be 12'W and 10' tall. Comment: I would like to get an estimate for cap on rail already installed. Project Type: New structure for covering deck, patio, walkway, etc. Comment: Would like the following to be built off of master bedroom: 1. Cover 2. Deck 3. French doors I like the look of Trex or Trex like product. But open to suggestions that can handle the heat and sun in Vegas. Comment: Wish to replace floor baseboards in 3 locations on home. Partial Family room, hallway and master bedroom. North Las Vegas Carpenters are rated 4.68 out of 5 based on 222 reviews of 13 pros. 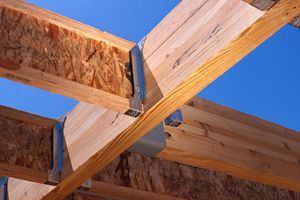 Not Looking for Carpenters Contractors in North Las Vegas, NV?